Enjoy a scenic river cruise and discover Bordeaux in a whole new light. 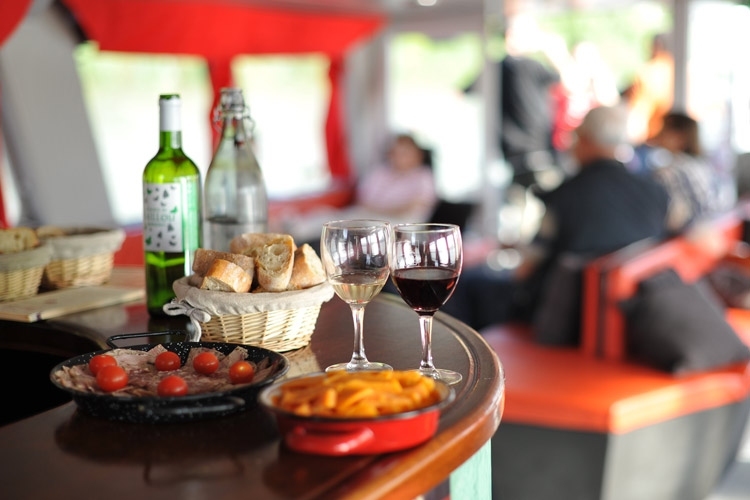 With family or friends, spend a convivial, relaxing moment aboard our boat. While listening to some laidback music, taste 3 carefully selected wines, accompanied by fresh and regional produce: tapas, breads, cheeses and delicatessen. 19.00 Cruise by the 18th-century facades of the Port de la Lune, listed as a UNESCO World Heritage Site. Pass under the Pont Jacques Chaban-Delmas lift bridge, then the Pont d’Aquitaine. After the village of Lormont, discover the Bassens port zone. 20.30 Return to the quay.